The Labour Party lost a huge number of votes from black, asian and minority ethnic communities at the last election. Nearly one million, including many longstanding supporters, abandoned Labour and voted Conservative. Many of those voters, like me, run their own businesses. In fact, some of the UK's very best business people and brightest entrepreneurs are ethnic minorities. In my view it was exactly by alienating those of us who run businesses that the Labour Party lost much of the critical minority community support on which it increasingly relies. This was avoidable and a significant failure that it must seek to correct in the years ahead. When I left India for Britain nearly 15 years ago, like many others I came in hope of a better life and for an opportunity to build a business in what was then a more dynamic economic environment. I did not however leave my social values behind. 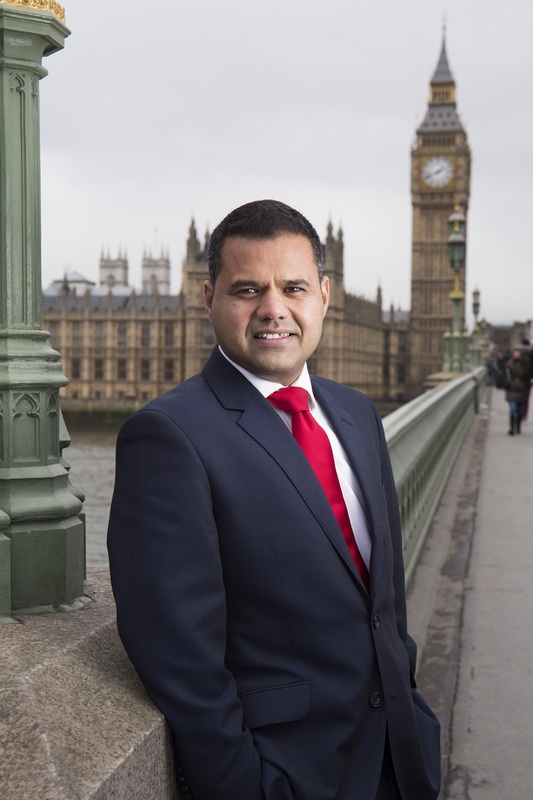 My Hindu upbringing and the strong sense of social justice my parents instilled in me as a child continues to shape both the way I do business and my approach to politics here in the UK. I am fortunate to have been successful in business. My companies RationalFX and Xendpay now employ over 100 people in the UK and enable many thousands to send money overseas cheaply and conveniently each week. Every day we help members of BAME communities send money to support their families in countries where there is simply not the same level of social security we are lucky to have here. I know very directly how critical these remittances can be to both recipient individuals and economies. I have supported the Labour party since I moved to the UK, because it has always been clear to me that the party is nearest to the values I was brought up with, but also because it recognises the need for a strong economy in which business can thrive and a fair society, with excellent public services, where the most vulnerable are are protected without external support. I have also come to see that the Labour party is the only party that really understands and embraces Britain's BAME communities, recognises the real value we bring to the UK and supports the pluralistic society in which we all now live. Never in my view has this been more important in our politics. I have therefore watched the current Labour leadership race with great interest. There are four strong candidates and I am pleased that there is a real debate about where Labour goes next. As I've said I certainly don't think the party got everything right in recent years. Having listened to what each candidate has had to say, it is my firm conclusion that Andy Burnham is the best candidate for the job. For me he is the one candidate that really understands the need to restore confidence in the business community and rebuild Labour's connection with BAME voters. Burnham is the only candidate to have explicitly stated that his economic approach will look outward to build relationships with India and the rest of the world, embracing global talent, attracting foreign direct investment and championing British exports. I am also confident that Labour will look and sound different under a Burnham leadership. He has signalled that he will ensure more BAME candidates at every level and that there will be a greater openness to business in party policy making. Importantly, Burnham recognises that BAME voters are not a simplistic bloc vote and that the Labour Party needs proper conversations to develop its understanding of and ability to represent those of us in minority communities if the trust that has too often been lost is to be rebuilt. Andy Burnham is also credible on the big issues for the next parliament: the economy, education and health and social care to name a few. He has a clear vision of a country in which everyone is able to get on – a vision that stays true to Labour values but can also win back those aspirational voters who felt the need to vote Tory earlier this year. Crucially, I believe that Andy Burnham, and only Andy Burnham, can beat Jeremy Corbyn and ensure that the Labour Party remains on track to return to power as a truly representative voice. Andy, not Jeremy is willing to understand why almost one million people from the BAME community chose to vote Conservative and not Labour and win them back. And most certainly it is Andy not Jeremy who will restore the faith of those of us who run businesses. Andy Burnham's will be an outward looking Labour party. A party of power not simply protest. A party of the majority but which embraces all minorities. A party of unity not division. A party that can win in 2020 and a party worthy of all of our support.